About mt. 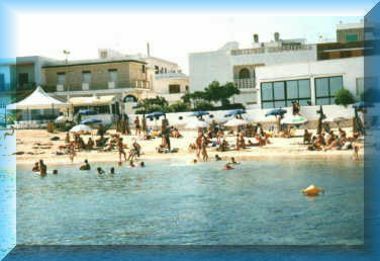 50 from one beach with facilities of Villanova, Ostuni. 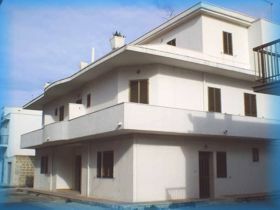 with one or two bedroom (except the first floor that it has lodging with two bedrooms), dinning room with kitchen, bathroom. To the upper floor having the divan bed in dining room, can accommodate until 6 persons. 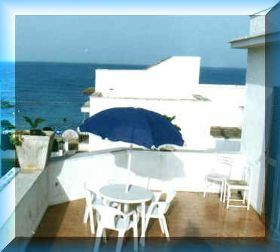 The first floor offers to a balcony, and the attic have a terrace both with sight sea. The prices do not include the cost of electricity, water and gas, which will be calculated at the end of the rental period. Pre-payment is required for the final apartment cleaning in the amount of Euro 35.00.